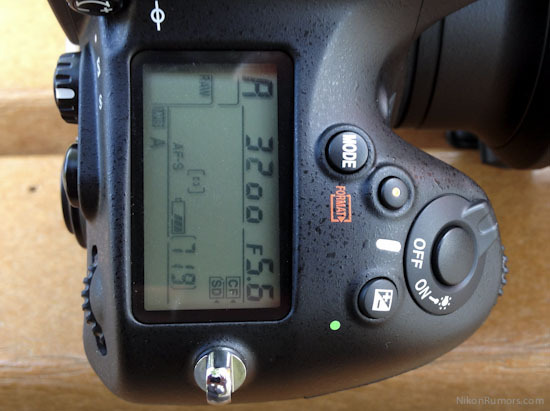 I have noticed that the Nikon D800 locks up and the only way to reset it is to take the battery out. This happened to me several times while shooting with different lenses. Has anyone experienced this issue? I have not seen this problem being mentioned anywhere online. On the above picture you see that the camera is turned off, while the LCD screen is still on.